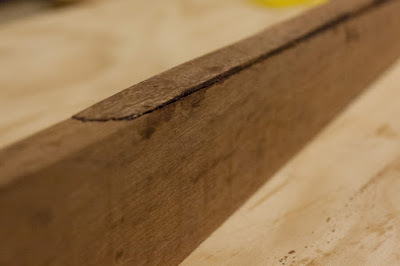 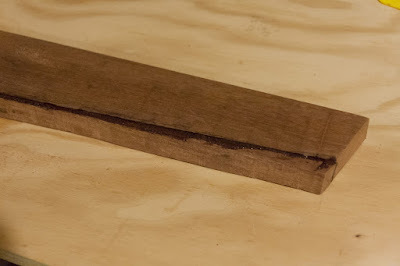 The shims were cut from some scrap mahogany. I used epoxy, thickened with mahogany wood dust, to glue them on. 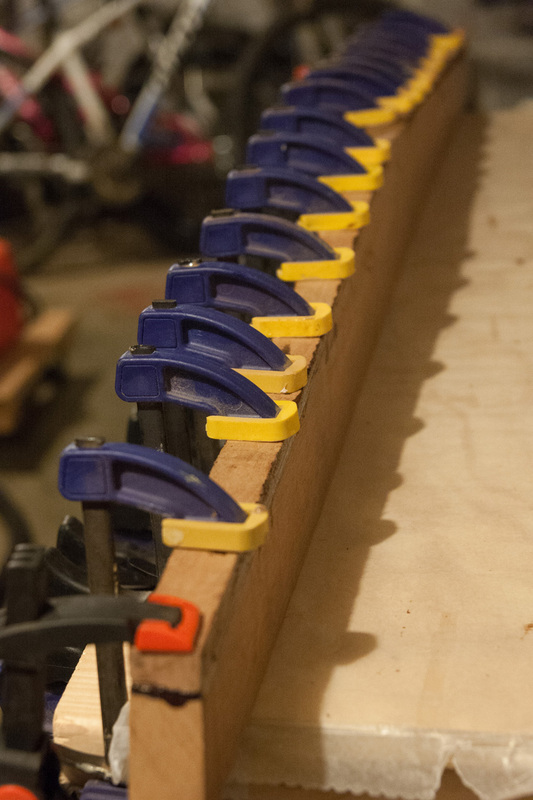 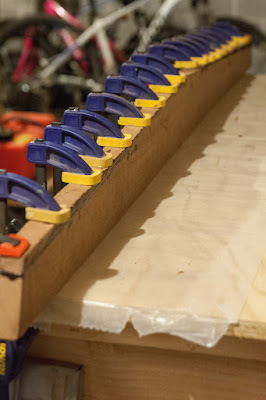 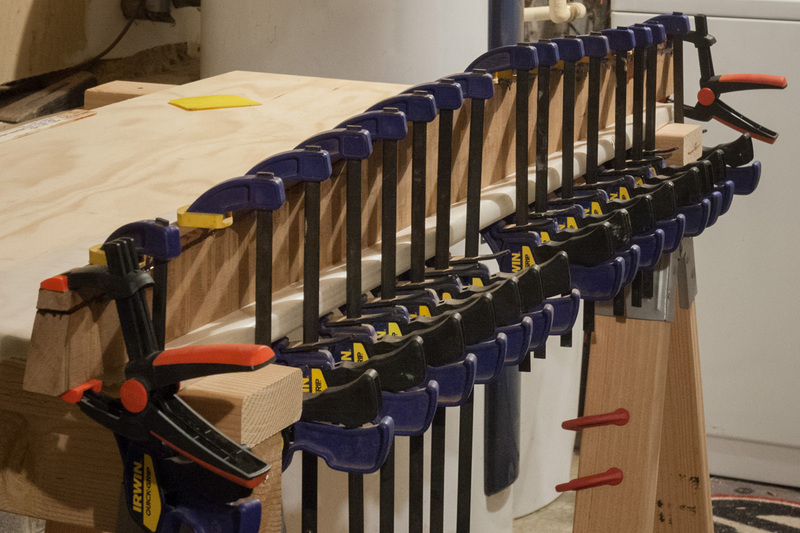 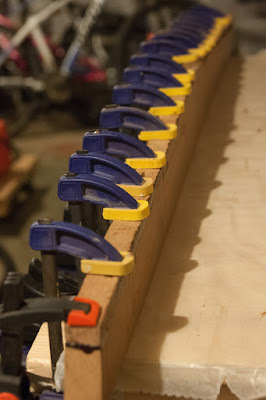 Held them in place with a lot of clamps for a day. 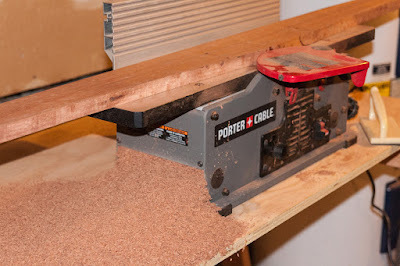 Waxed paper kept me from gluing the floor beam to my work surface. 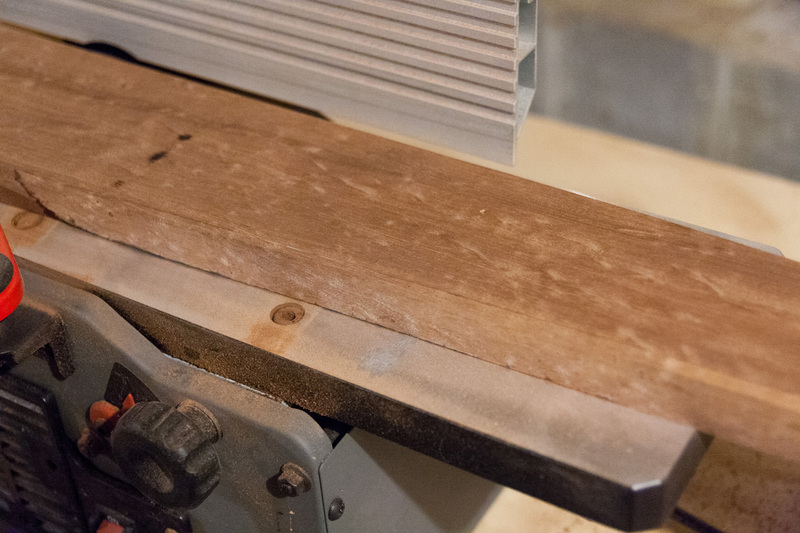 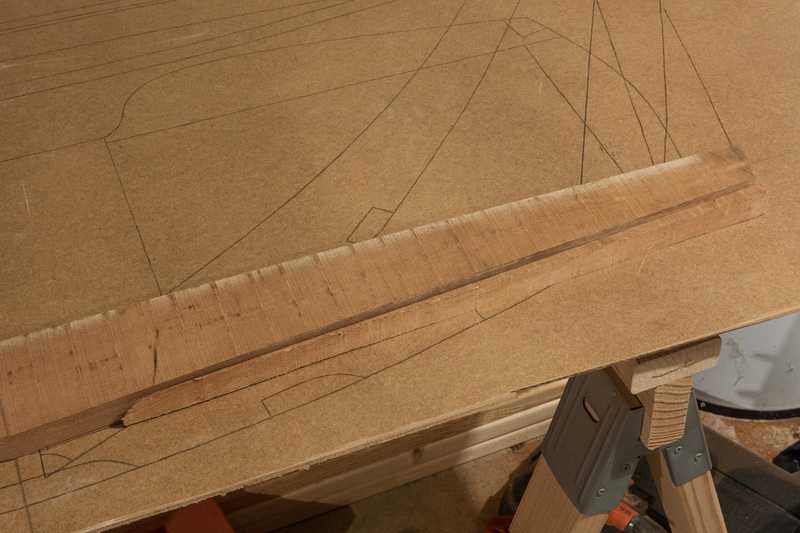 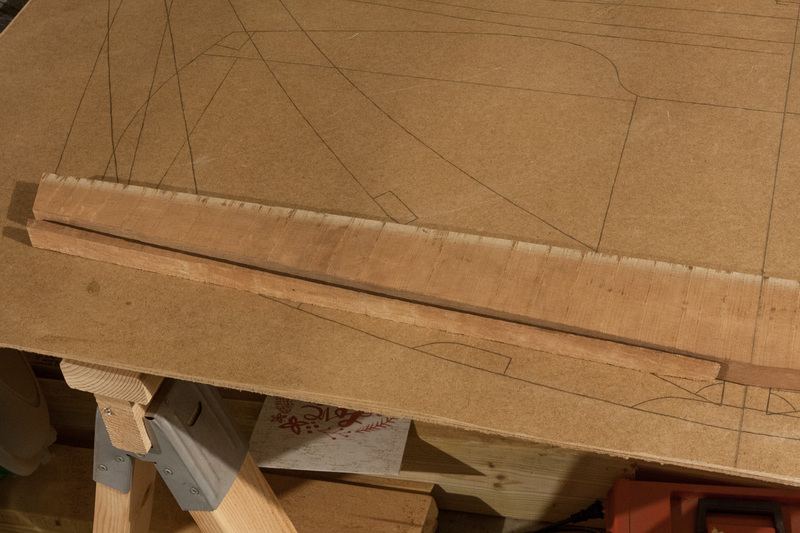 A few passes across the planer/jointer to smooth the sides. Next step will be to shape the bottom of the floor beam to its proper dimensions.